SEO Tools: Search Engine Optimization Tools - The ultimate search engine optimization (SEO) tools for improving your search engine ranking and traffic. SEO Tools is your one-stop destination for the most effective search engine optimization (SEO) tools. Keyword research is one of the most important, valuable, and high-return activities in SEO process. Fortunately, there are many free keyword research tools available to help you identify the right keywords for optimizing your websites or pages. Through the detective work of dissecting your market's keyword demand, you learn not only which terms and phrases to target with SEO, but also more about your customer base as a whole. The importance of keyword discovery tools like the Google AdWords Keyword Planner can't be overestimated. The duties of webmaster tools include: ensuring that the web servers, hardware and software are operating correctly, designing the website, generating and revising web pages, A/B testing, replying to user comments, and examining traffic through the site. Web Analytics refers the analysis of qualitative and quantitative data from your website and the competition, to drive a continual improvement of the online experience that your customers, and potential customers have, which translates into your desired outcomes (online and offline). Web performance optimization streamlines your content to maximize display speed. Fast display speed is the key to success with your website. It increases profits, decreases costs, and improves customer satisfaction (not to mention search engine rankings, accessibility, and maintainability). W3C validation tools not only can check the markup validity of Web documents in HTML, XHTML, SMIL, MathML, etc, but also can check Cascading Style Sheets (CSS) and (X)HTML documents with style sheets. 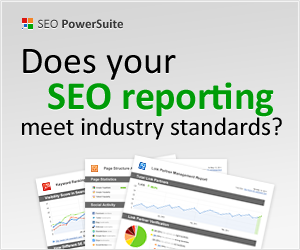 SEO PowerSuite is one the best All-In-One SEO Tools, SEO PowerSuite covers every step of an SEO campaign of any caliber, from rankings to on-page to backlinks. With its intuitive UI and a wealth of pro-level features, it's a perfect fit for SEO newbies and experts alike. For more information, please see highlights & features.